Did you know you can now order your Deliveroo takeaway from Dragon Castle here on View? Past the magnificent Chinese armoured door and the wishing well with goldfish, is the vast dining room lit by chandeliers. 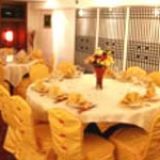 Dragon Castle serves fresh Cantonese food of the highest quality. Try Winter Melon Broth or Shanghai Braised Pork Belly. What did you think of Dragon Castle? The food at Dragon Castle is simply amazing. very good quality and expertly cooked and presented. I love the staff at that place too. I am so glad that we found Dragon Castle, as I am a big fan of Chinese food. I think this will become my local. My family and I visited Dragon Castle this week. 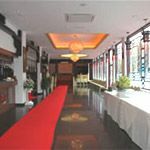 I found it to be ornately decorated to a high standard and the staff were really friendly and helpful throughout, even suggesting dishes as we hadn't tried dimsum before. The food arrived pretty quickly which was great considering how busy it was and it not only tasted mouthwatering but it was displayed beautifully on the plate. My overall experience is that this is the best chinese restaurant i have ever been to and next time in London will make sure to revisit but this time to try out their main menu. Our experience here was a great dine out with excellent food and service to match.Highly recommended by the Hansen-Lombard family. Good food - i can advise the chairman mao pork and their vegetable dishes - pak choi. As the place has established itself with well deserved reviews it has rested on its laurels somewhat. Grubby menus and the service isn't quite what it was but still worth a trip to Elephant. Very easy to get to. It is a short walk from Elephant and Castle. We would always go pass in the bus, and it would be very busy. So on the day our dearest friend was going back to Nigeria we thought we would test it out. We were not disappointed. The staff greet you at the big Chinese doors. All dressed up and looking very professional and beautiful. The decor and lighting is perfect. The moment you sit down, you are given little nibbles. We took the Selection Platter and they even did not include Pork at our request. The Main course of Lamb cooked slowly, fried rice with scallops and egg white, Duck cooked in Szcheun peppers, all the dishes we choose were very quick, high quality and delicious. 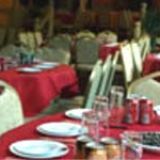 Very happy and since then we have returned twice.First time in finding a very nice chinese restaurant, central, value for money and good, polite service. NB. WALworth - not WANDSworth! But only a very short walk from Elephant and Castle tube, or a slightly longer, appetite increasing, walk from Waterloo or London Bridge... Excellent Dim Sum, friendly staff and calm environment - try it! Very reasonably priced too! The Walworth Road has seen all sorts down the years – the Labour Party headquarters, industrial amounts of ducking and diving – but it’s inconceivable that’s it has ever played host to a better Chinese restaurant than this one. Dragon Castle is in a big, modern building just a short walk from the scenic heart of Elephant and Castle. The restaurant itself is high-ceilinged, reasonably but not weirdly ornate (enormous chandeliers and blood-red lanterns abound) and very, very long but only quite wide: tinted windows allowing a glimpse of, well, not much really, run along one side. Staff are plentiful and quite helpful, albeit they do have an annoying tendency to keep re-filling (and over filling – it’s not supposed to be full to the brim) your wine glass. On Saturday nights, Dragon Castle is busy but not overwhelmingly so. Tables are a respectful distance apart and the high ceiling ensures that it never gets too loud. Most notable is the clientele: this must have the most multicultural crowd in the whole city. Very refreshing. Chinese food, popular as it undeniably is, suffers a little from the widely-held perception that it is full of MSG. That doesn’t appear to be the case at Dragon Castle: most dishes are light in a way that you’d not expect from a more traditional high-street establishment. The menu does feature some slightly dull options – the set menus are full of them – but there’s a variety of more interesting Cantonese dishes if you’re prepared to be only a tiny little bit adventurous. Dragon Castle is renowned for its lunchtime dim sum, so it’s no real surprise that the steamed prawn and pork dumplings are light and succulent. Also good are the deep-fried crab and prawn, which come with a salty, succulent Worcester sauce-style, er, sauce. Chicken with mango, lime, chilli and coriander is as fresh and light as it sounds: the chicken is soft and tender, not plastic-y as so often in Chinese restaurants. The rice is soft and fragrant. Most highly recommended, though, is a whole St Peter’s fish (another name for John Dory) smothered in a rich, sweet soy-infused sauce. It is utterly delicious, and a world apart from chicken chow mein. There’s the normal range of beers, of which the crisp, dry Tsing Tao is probably the pick to accompany Chinese food. But the best option, for my money, is a bottle of the keenly-priced, refreshing Muscadet, which is perfectly pitched for the food.